In the higher end, each company has a device, flagship phone if you will. This phone has the best features the company could push into a device. Here, I am leaving the 5.5” phablets out of the mix. Strictly, just the smartphone category. So, we have a Samsung Galaxy S5, iPhone 6, Moto X, Sony Xperia Z3 and others. That is the top category. However, as we go down the list, things get a bit murky. We get phones like Galaxy S5 mini, S4 that are similarly priced at Rs. 27K; Galaxy S3, S3 Neo, S4 Zoom, Grand 2, Grand Duos that are in the Rs. 20K range. Micromax has a similar structure with Canvas Knight and Canvas Gold in the same price bracket. Lava mobiles has a similar way of having multiple phones with slight variations in the same price bracket. In contrast to this, Motorola has three phones in all – Moto X, Moto G and Moto E clearly catering to a separate category. Xiaomi is also taking a similar approach with Mi3 and Redmi 1S. iPhone has a similar approach with a single phone at a price point. Any overlapping that happens is also clear- memory size. Each approach has its own advantages and disadvantages. The biggest advantage that Multiple phone approach is that people have choice. These phones are different with slight variation that they think are need of the market. For example, a phone might be 3G capable but has 3.2 MP camera (eg. Lava Iris 250) while other phone might be 2G with a 5 MP camera (Iris 404) and another one have a better battery. 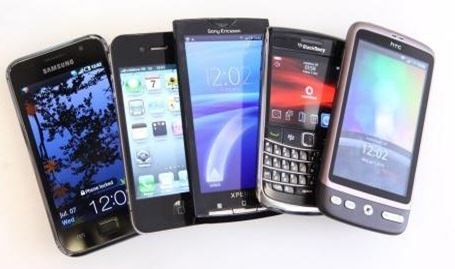 All these phones will have the same price but will be catering different client needs. Another example can be the screen size. Someone might prefer a 4” screen while another person wants a 5” smartphone. Options like water resistance are provided as Samsung does with its ‘Active’ phones. These options give user a complete freedom to what they want with the phone and are in complete line with Android’s philosophy of openness and choice. The biggest problem with these choices is that many times they are meaningless. In an attempt to create options, the companies simply end up creating false choices. They are complicated and misleading to buyers. Many times, the shopkeepers are also confused about the differences between these phones. Coming to single phone at single price point, the biggest advantage is clarity. The phone company is selling you its brand name. If you want our phone at this price, it is this one. If the phone is good enough it will sell off the shelves, like Moto G, Moto E or Xiaomi’s phones. There is no comparison or nitpicking with these phones. Another advantage to companies is that the production is completely streamlined as only one phone is to be made in large quantity. The obvious disadvantage being lack of choice. You want a Motorola phone, there are three options, choose your pick. Personally, I prefer a streamlined approach with single device at one price point. A few customizations like water-proofing, design customizations etc. are good to have, it’s true, but I think that can be left to third party vendors. Maybe companies should open their devices a little more to these vendors. Maybe they can charge small fees from companies for that. This is far better than cramming in features, which are useless to most users.